This is a special year for technology improvements at the ULCS Christian School. Each elementary classroom was equipped with a large screen TV, installed for whole class viewing of educational movies and website information. 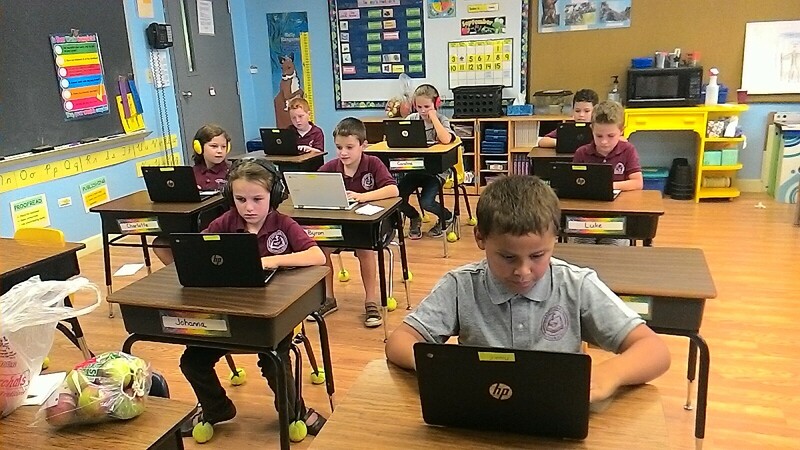 We have chromebooks available to students in K/1 and a 1:1 initiative for grades 2 - 6. Our students have been busy learning to type and doing research using the internet. They have also had fun with skill based games focused on spelling. 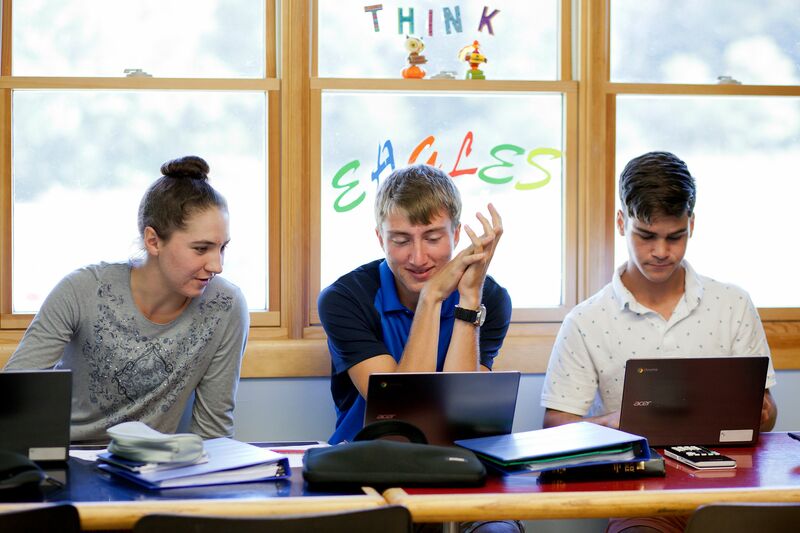 At the high school level, technology is integrated into each of our regular courses, with Smartboards in our math, science and Bible classrooms, and continuous access to laptops, chromebooks and desktop computers. Our faculty members use the complete google suite in their classes, as well as audible and, new this year, a few students are piloting online courses from SevenStar Christian Academy, such as dual credit English 101 and 102. Our technology committee, comprised of parents, faculty members and professionals with experience in the workings of technology, is busy updating our internet service to allow consistent access and adequate protection. Competence in technology is essential for 21st century learners. We are pleased to offer an outstanding technology compliment to our curriculum.